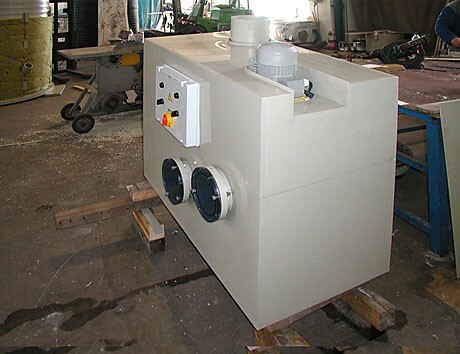 For the protection of the atmosphere, for cleaning industrial fumes we design and manufacture absorbing systems (scrubbers) and adsorbing systems (with a solid sorbent), plus wet dust extraction units and droplet separators for the cleaning of solid air-borne particles. 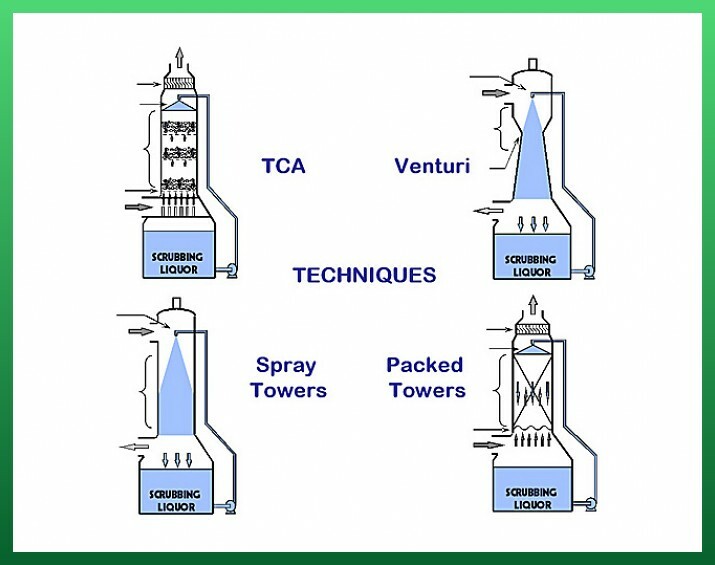 A degassing of liquids by desorption, by steam, or with hot air striping, and the resultant absorption sometimes preceed a final scrubbing. 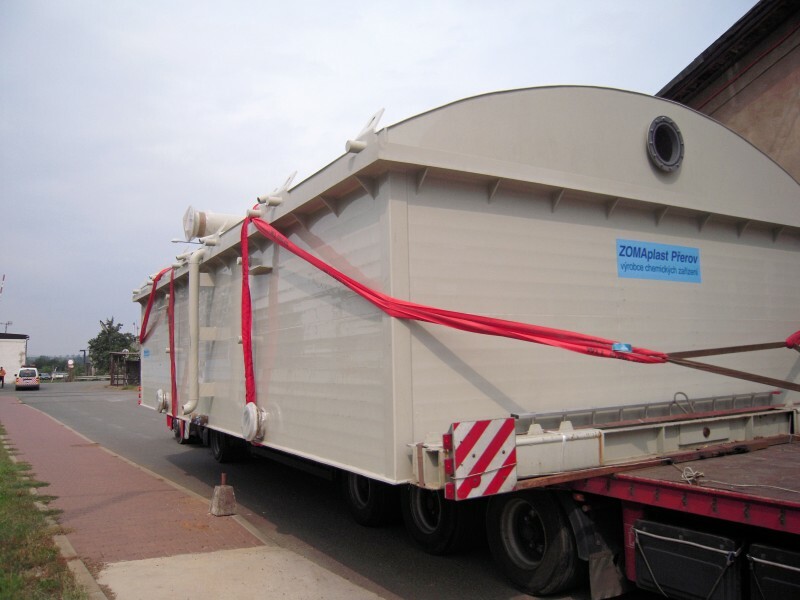 Our absorption scheme always includes the complete absorbing system : a recommendation of the type of scrubber, a suggestion of a sorbent and also a suggestion of the methods of liquidation of the depleated sorbent. 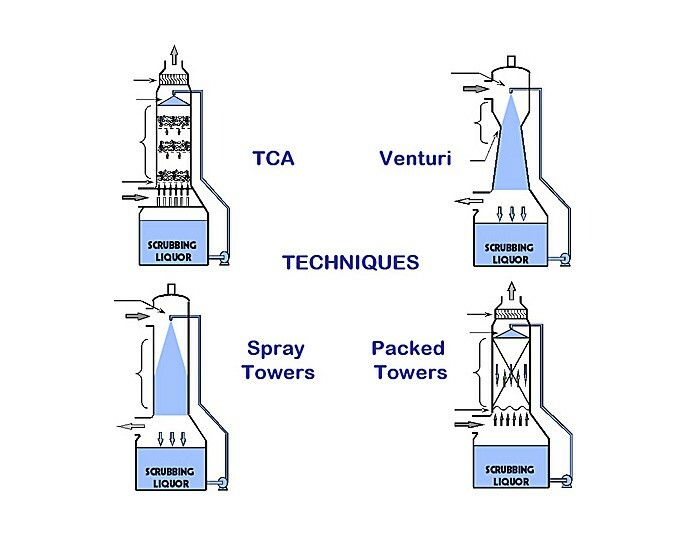 Packed scrubbers with a stationary or mobile filling (TCA), foam scrubbers, mist scrubbers, capped columns, Venturi and jet pipe. 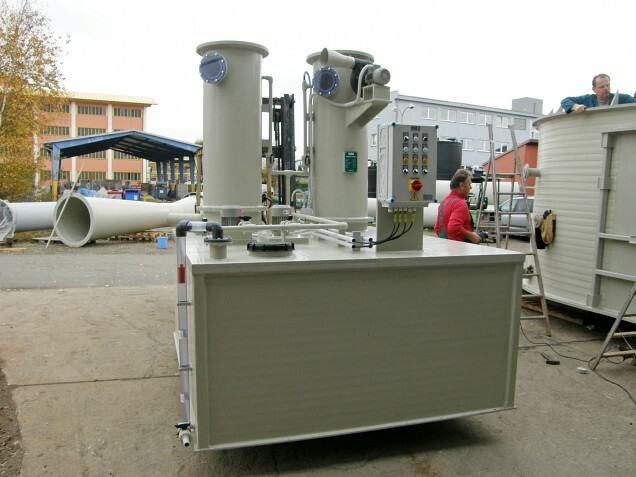 Depending upon the arrangement of gas, we manufacture scrubbers in an upright or horizontal position. 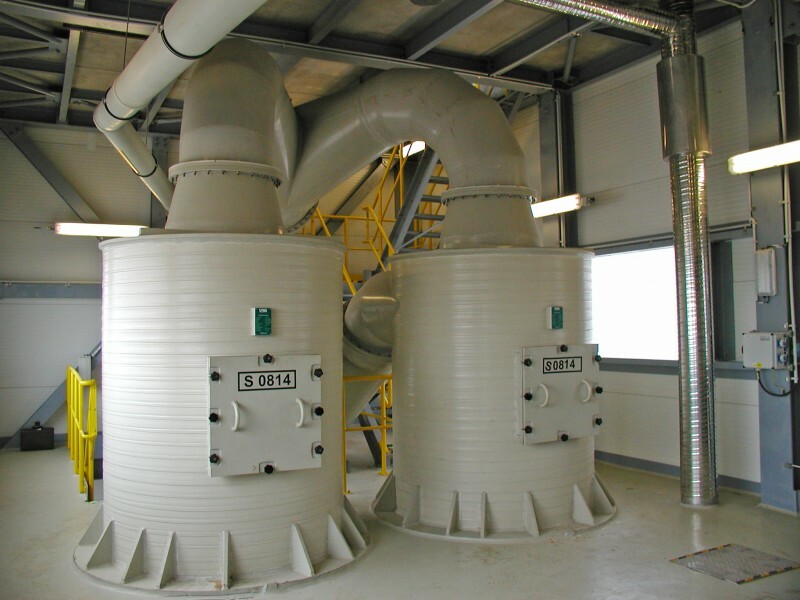 For the minimalization of the dust content in the fumes, we place dry or reverse flow cyclones in front of the scrubber. For all further mentioned types of scrubber we utilize programmes for the calculation of the air flow system, the hydrodynamics, and the known chemisorption and chemical stechiometry.